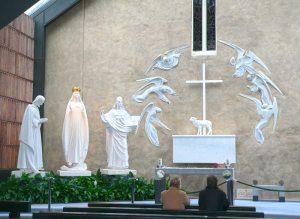 The Apparition at Knock is a little known among Catholics but for me it is my favorite Apparation. 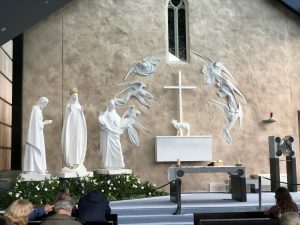 It is called a Marian apparition but in reality it is a Eucharistic apparition because the center of everything as the Lamb Standing on the Altar. We had a beautiful Mass at the very chapel of the apparition with Fr. James Conlon and two of our deacons. You can hear Fr. James’s homily here. I gave a 30 minute talk hear about all the biblical and Catholic meaning to this somewhat complicated yet simple and beautiful apparition which is 139 years old this month. You can hear/watch my talk in two parts below. For a beautiful song about Knock, click here. 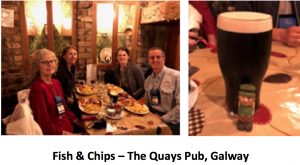 Then our two buses drove back to Galway where we spent the rest of the afternoon taking a walking tour of the city and free time for shopping, eating at all the pubs and restaurants, and just enjoying the pedestrian only streets that are fascinating to walk through. Rainy Irish day which gave us all a sense of what Ireland is often like. Everyone is doing well and having a great time. 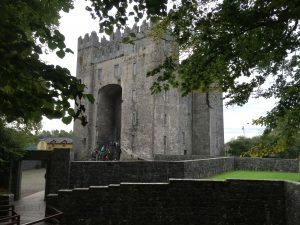 Today we left Clonmel and drove to Kilkenny to see this fabulous castle and medieval town. 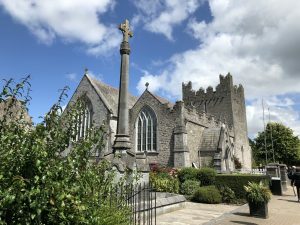 From there to Glendalough where we saw a movie about the monastic site, had a great lunch and took a tour of the old monasteries and churches. 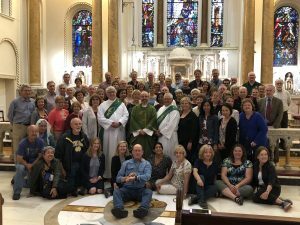 Then we had Mass at St. Kevins (Fr.James homily here) before arriving in Dublin. You can watch the entire pilgrimage video below, or download the 1080p version at this link. 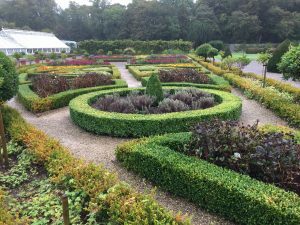 Ireland August 2018 from Steve Ray on Vimeo. 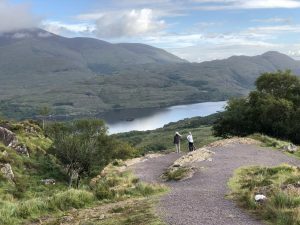 Detailed and Eloquent Journal of our Pilgrimage by Mike Sweeney. could ask for a nicer summary. 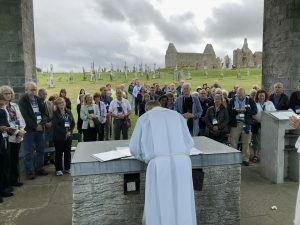 Join us for our next pilgrimage to the Emerald Isle of Ireland where we will discover the Catholic heritage of this courageous Catholic land. The beauty of this country has to be seen to be believed. It would also be harder to find a friendlier country. 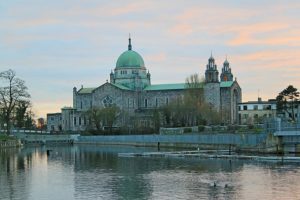 To see videos of one of our earlier pilgrimages to Ireland, click here and here. We will have Fr. James Conlon with us. 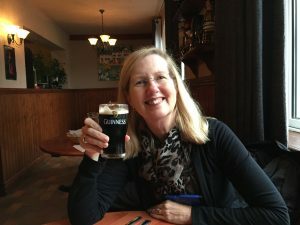 He is a citizen of Ireland and pastor of St. Francis of Assisi Catholic Church in Ann Arbor, MI. He was an Irish barrister (lawyer) before becoming a priest. He will share his intimate knowledge and love his country with us. 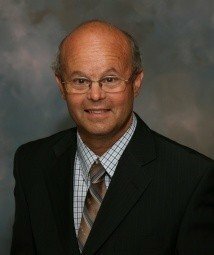 Along with special guest Terry Barber from the Catholic Resource Center, St. Joseph Communications, founder of Lighthouse Media and host of the Terry & Jesse Show. We will study and discover the rich and long history of the Catholic Faith in this land of saints and scholars. We will also learn their suffering and struggles with the Protestant Reformation and the English oppression. 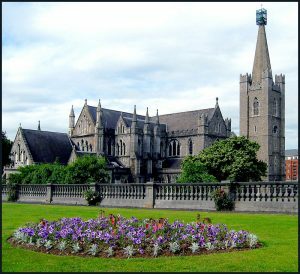 We will see the most sacred sites and beautiful churches including those related to St. Patrick, Our Lady of Knock and many more. None of the spectacular castles and landscapes will be missed. 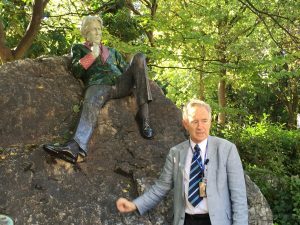 Our guide is Batt Burns, a seanchaí which is an old time Irish storyteller and an award-winning author of children’s books who is keeping the tradition alive. 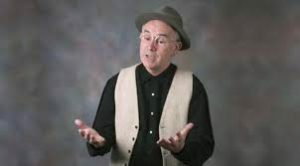 You will howl with laughter and wipe a tear from your eye as he waxes eloquent with his Irish tales. 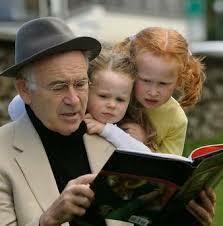 Nothing like learning Ireland from a storyteller who loves his country and his culture. 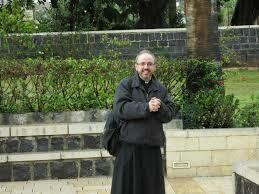 Oh, and did I forget to tell you he is a devout Catholic who will teach us the Catholic history of his beloved Island. Depart from the USA on overnight flights to Ireland’s capital city, Dublin. 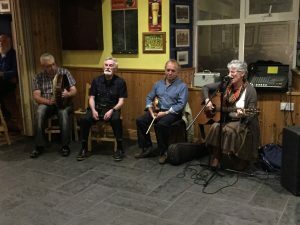 Village folks play Irish music and teach us to dance! After a full Irish breakfast, visit Trinity College. 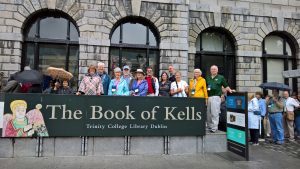 See the magnificent Book of Kells, an illuminated copy of the Four Gospels. This afternoon is free to do some last-minute shopping in the Grafton and Nassau Street areas or sightsee on your own and tour the wonderful National Museum, Guinness Brewery, Jameson Distillery. Celebrate Mass at St. Audeon’s Church.